Coming to Abades Ronda means being transported in time, lost on the horizon while enjoying different flavors and textures. Our restaurant was born out of the idea of crafting itself as a reference in the restaurant industry, not only in the city of Ronda but throughout Spain. Abades Ronda has a capacity for more than 750 people and has an à la carte restaurant, outdoor spaces, private rooms for events, an impressive veranda terrace from which you can gaze out at infinite views and spectacular sunsets, as well as a haute cuisine based on local products that fuse tradition with gastronomic innovation and a cellar with more than 100 selections. Located in the heart of the city, next to the Real Maestranza Bullring, its privileged location on the cliffs of the famous Tajo de Ronda makes it a unique place to surprise your companions. 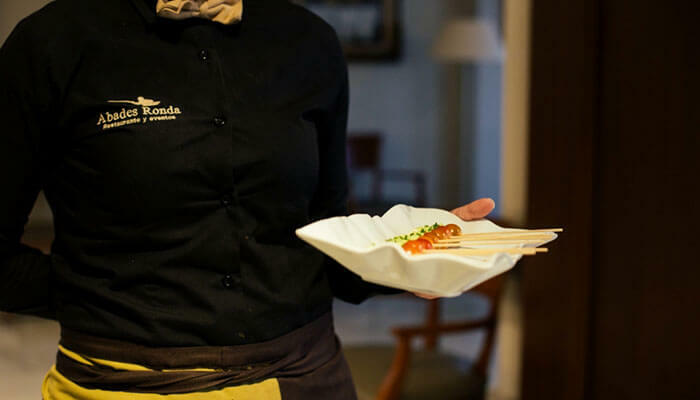 Taste our Chef’s recommendations in one of the most charming places in Ronda. Our restaurant awaits you. 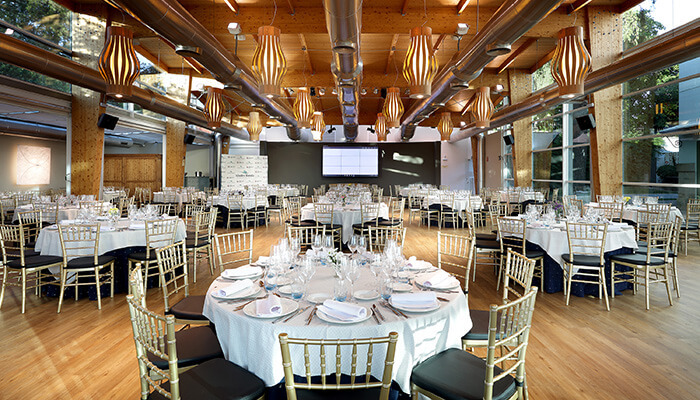 We have all the technical and logistical resources to organize your business event in Ronda. Why not give it a try? Our wedding planners will advise you of all the possibilities we have on offer to give you the most authentic and enchanting wedding. 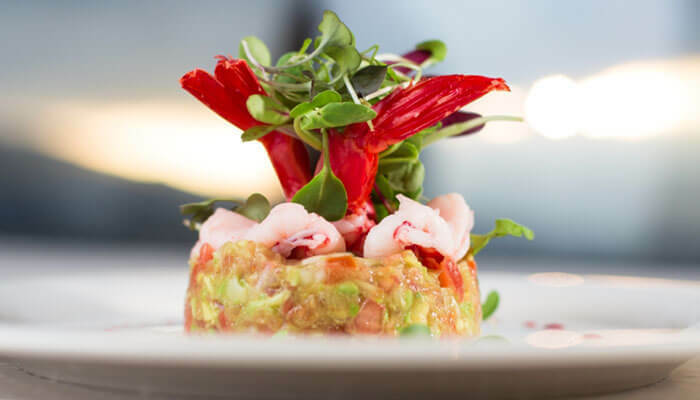 Enjoy great culinary suggestions paired with a wine list of more than 100 selections. All on offer in a unique place located in the very cornice of the Ronda Tajo, with a setting full of charm and incredible views. Are you ready to experience something new?